The SP Series Spreaders are Pequea’s latest addition to our line of manure handling equipment. 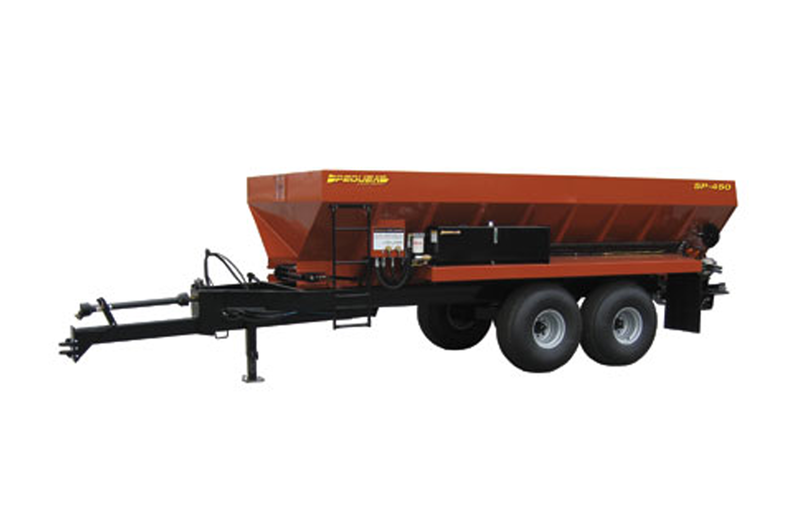 Offered in 16', 18', 20', and 22' hopper lengths, the SP spreaders bring up to 580 cubic foot hauling capacity along with easy-to-use flow control valves for the apron and spinner speeds. With over 15 different options available including a truck mount configuration, the SP Series is highly adaptable to any environment. Struck Capacity 290 cu. ft. Heaped Capacity 450 cu. ft.